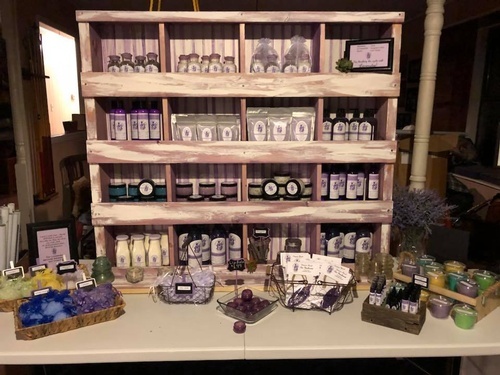 The Purple Cactus is a family owned and operated lavender farm. A love of family and love of agriculture were combined to establish the first lavender farm in Colorado County, Texas. Kevin and Wendy Page retired after 30 years of teaching High School Agriculture and were in search of a way to supplement their income without giving up the time they valued volunteering at their church and being Nana and Pops to four grandchildren. Wendy had often thought of opening a garden center upon retirement, but the time requirements didn't match their family goals. After taking it to God through prayer, one crop kept emerging, LAVENDER. Although labor intensive during blooming season, it provided the flexibility they were looking for. They are currently involved in field preparation, store front development and product exploration. In early October they will be planting over 250 lavender plants that represent four different varieties. They hope you will be able to join them at the farm! Lavender is a flowering herb of the mint family known for its sweet floral fragrance and its multiple uses. Currently there are over 45 different species of with over 450 varieties. Texas has a unique climate and growing conditions unlike other areas in the US. While growing lavender is rewarding and can be very successful, it is not without challenges. Lavender likes full sun. More than a couple of hours of shade can affect blooming and cause the plants to become “leggy.” Lavender wants to be dry and needs little water once established. 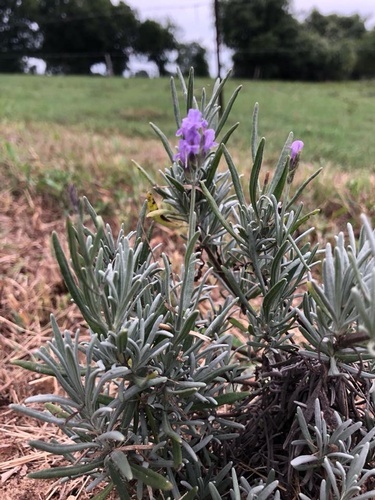 Our biggest concern at the Purple Cactus Lavender Farm is high humidity, which can cause fungal rot, and tropical storms that could prevent us from keeping them dry. The fragrant pale purple flowers and flower buds are used in a wide variety of uses including essential oils, perfumes, cosmetics, aromatherapy, herbal medicines and in the kitchen as a culinary herb. It is also a common flower used in crafts, home decor and weddings, as well as being a popular choice for landscaping. 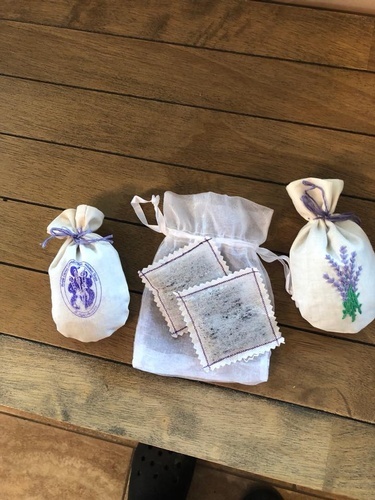 The benefits of lavender far out way the struggles sometimes associated with farming of lavender. Lavender oil is believed to have antiseptic and anti-inflammatory properties, which can help to heal minor burns and bug bites. Research suggests that it may also be useful for treating anxiety, insomnia and restlessness.